Make your wedding party sparkle with jewel tone iridescent organza pouches. 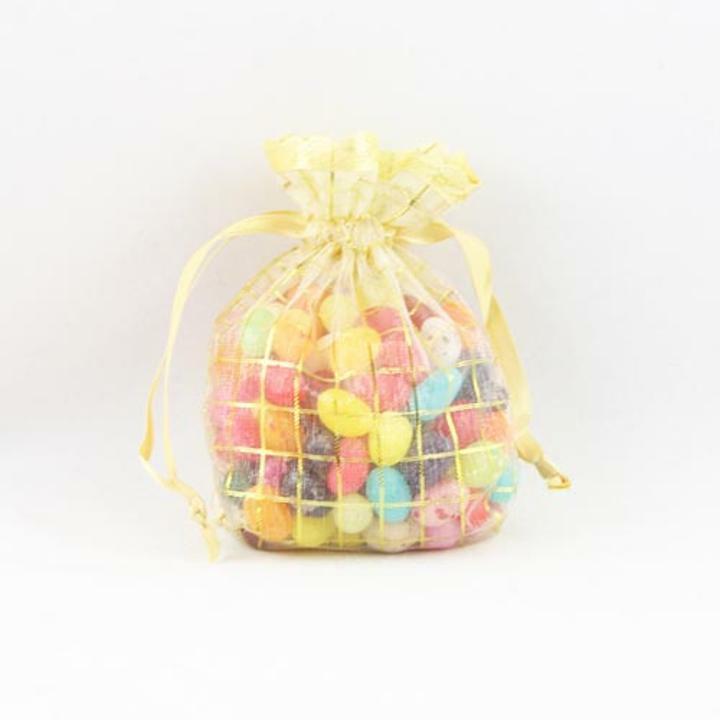 These fabric 4" x 5" x 1" bags are a fantastic way to show case your unique party favors. Each package contains 12 shiny Gold metallic bags with satin pulls. Fill them with candy, chocolates or even rice for the traditional rice throwing after the ceremony. Treats and favors not included.